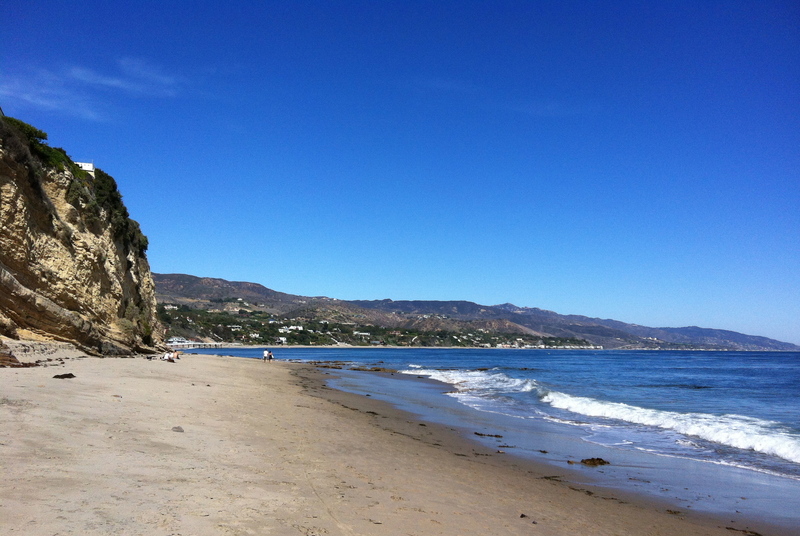 Paradise Cove, Malibu is well deserving of it’s moniker. Set bak from PCH, this nature setting is popular with the locals as well as tourists. Children frolic in the sand, surfers and boogie boarders chase the waves, dogs run after balls thrown by their owners in the froth. Nature is on display here for all to enjoy. Natural habitats such as sea slugs and anemone flourish in the tide pools while sea gulls above hunt for star fish. Such beauty is interrupted by human behaviors. People are spoiling the nature by leaving their rubbish behind. Beer bottles and soda cans are left on the sand and behind rock formations. Litter line PCH with no end in sight. People – enjoy your day at the beach… but when you leave, have some class, take your garbage. Respect the nature!! !